An essential stop on the hippie trail in the 1960s, beautiful Afghanistan has been devastated by years of war. Renowned for its epic countryside and rugged mountains, travellers came to interact with local communities, breathe clear mountain air and explore ancient sites such as the giant Buddha statues of Bamiyan. They were happy times. Sadly, those days are gone. The Taliban destroyed most of the country’s monuments, while the US and its allies ruined what was left of Afghanistan’s creaking infrastructure. With thousands of peacekeeping troops still operating in the country and pockets of fighting continuing, it will be some time before Afghanistan is restored to its former glory. Consequently, travellers are advised against visiting Afghanistan. Nevertheless, some adventurous tour companies are offering trips to the country, and there have been reports in some quarters of increased bookings and interest. Afghan authorities put tourist numbers at less than 20,000, though they claim it is slowly increasing. Tending to take in the historic but war-ravaged city of Kabul, mountain villages, ancient fortifications and some surviving Buddhist sites, tours are generally conducted in small groups and tend to be expensive. Guides make the point that for many ordinary Afghans, life has continued much the same as it has for centuries. Indeed of the few travellers that do make it to the country, they tell of the surprising normality of Kabul, with little signs of the instability reported by international media. The country also remains a fascinating melting pot of ethnic and tribal groups. Despite hopes that tourism could return to this historic country, almost every area of Afghanistan remains dangerous as insurgents continue to threaten the fragile democracy. If you do decide to travel to Afghanistan, personal security is recommended, as is a reputable tour company and full travel insurance. Always check foreign office advice before travelling. 652,225 sq km (251,773 sq miles). President Ashraf Ghani since 2014. Kapisa; Kunar; Nangahar; Laghman; Nuristan; Ghazni; Khost; Paktika; Paktiya; Logar Wardak;Kandahar; Uruzgan; Zabul; Helmand; Nimroz; Badghis; Farah; Faryab; Jowzjan; Badakhshan; Baghlan; Kunduz and Takhar. Kabul (Surobi district); Parwan (Charikar City, Bagram, Ghorband/Siaghird, Jabal Saraj, Kohi Saraj, Salang, Sayed Khel and Shinwari districts); Daikundi (Gizab and Kajran districts); Ghor (Dolina/ Du Layna and Pasaband districts); Herat (Shindand district); Balkh (Chaharbolak, Chamtal/Chimtal, Daulat Abad/Dawalatabad, Hairatan Port, Kaldar and Shortipa/Shur Tapa/Shor Tepah districts); Sar-e-Pul (Sar-e-Pul City and Sayad districts). The Foreign and Commonwealth Office (FCO) advise against all but essential travel to all other provinces and districts of Afghanistan. Consular support is not available in parts of Afghanistan where we advise against all travel and severely limited where we advise against all but essential travel. The level of consular assistance the British Embassy can provide to travellers in Afghanistan is extremely limited. There are limits to the assistance the FCO can provide in a crisis, depending on the security and transport situation. You should not assume that the FCO will be able to provide assistance to leave the country in the event of serious unrest. The British Embassy is not able to accept registrations from British nationals travelling in Afghanistan or monitor their safety when they are in country. Staff from the British Embassy may be unable to travel to certain parts of the country due to the security situation; this may severely limit the consular assistance that can be offered. Travel by road throughout the country, but particularly outside the capital Kabul, is extremely dangerous. Seek professional security advice for all travel and consider using armoured vehicles. Hotels and guesthouses used by foreign nationals and the government of Afghanistan are subject to regular threats. The British Embassy doesn’t allow official visitors to stay in hotels overnight and has placed restaurants and other venues off limits to staff. Make sure your accommodation is secure and review your security measures regularly. on 20 January 2018, a complex attack on the Intercontinental Hotel in Kabul resulted in the deaths of around 20 people. You should follow the instructions of local authorities. There is a high threat of kidnapping throughout the country. On 2 August 2018, 3 foreign nationals were abducted and murdered in Kabul. The exact motives for this are unclear. Afghanistan is in a major earthquake zone and remains at risk from powerful earthquakes, aftershocks, landslides and flooding. The British Embassy can provide limited consular assistance in Afghanistan, particularly outside the capital Kabul. You can contact the emergency services by calling 119 (police and ambulance) and 112 (fire). The security situation throughout Afghanistan remains uncertain, and could change rapidly. You should monitor media reporting and make sure you have robust contingency plans in place. Be vigilant at all times, keep others informed of your travel plans and vary your routes and routines. Road travel is highly dangerous. Insurgents have set up false vehicle checkpoints from which violent attacks have been launched, and there continue to be fatal roadside bombings and attacks on military and civilian vehicles. In addition to the threat from terrorism and kidnapping, there is also a continuing criminal threat from carjacking and robbery. Avoid travelling between cities at night. Public transport is dangerous. Taxis and long distance buses are often poorly maintained, uninsured and driven by unqualified drivers. Privately hired transport is often driven by uninsured, unqualified drivers. You should carry out long distance journeys by air where possible. If you travel by road you should only travel in secure transport with close protection, using reputable local drivers and guides. Make sure doors are locked and windows closed. You should consider strongly the use of armoured vehicles. Most road surfaces are in a very poor condition. The overall standard of driving is poor and most local drivers are uninsured. Accidents may lead to confrontation and threatening behaviour. You can drive in Afghanistan with a valid driving licence for up to one year. 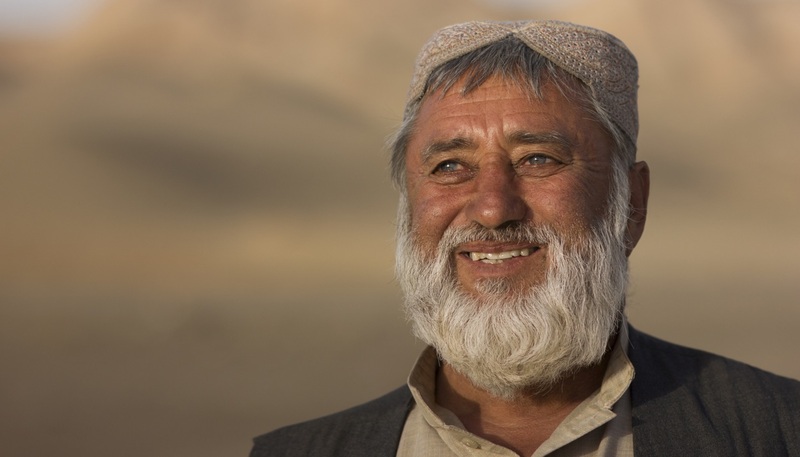 If you’re staying longer in Afghanistan you will need to get a local licence. There have been a number of serious attacks on both western and Afghan NGOs and vehicles belonging to them, in which people have been killed or injured. NGO workers have been kidnapped near their places of work. Most attacks continue to occur in the east and south of Afghanistan with a recent increase in activity in the central areas. The International NGO Safety Organisation (INSO) www.ngosafety.org issues regular security updates for NGOs. All airlines from Afghanistan have been refused permission to operate services to the EU because Afghanistan is unable to ensure that its airlines meet international safety standards. FCO staff are advised to use carriers which aren’t subject to the EU operating ban. A list of recent incidents and accidents can be found on the website of the Aviation Safety network. The FCO can’t offer advice on the safety of individual airlines. However, the International Air Transport Association publishes a list of registered airlines that have been audited and found to meet a number of operational safety standards and recommended practices. This list is not exhaustive and the absence of an airline from this list doesn’t necessarily mean that it’s unsafe. Flying to Dubai and then transferring is the most common route into Afghanistan. It’s illegal to transit the United Arab Emirates carrying unlicensed personal protection equipment. This includes, but is not limited to, body armour (including ballistic vests), weapon holsters and handcuffs. Other specialist technical equipment such as satellite phones, listening and recording devices, powerful cameras and binoculars, while freely available in the UK, may also require licences. Persons found carrying any such items without a licence may be subject to conviction resulting in imprisonment and substantial monetary fines in accordance with Emirati law. Harassment of foreign women is not unusual including uninvited physical contact and unwanted attention. Specific guidance for companies seeking to do business in Afghanistan can be found on the Department for International Trade (DIT) website. DIT are also able to put you in touch with companies operating in Afghanistan who offer security services. For more information see Operating in High Risk Environments: advice for business. If you’re travelling around Afghanistan, including Kabul, you should seek professional security advice and continually reassess your personal security. The British Embassy in Kabul operates under strict security protocols and always uses armoured vehicles; staff receive regular security briefings to enable them to carry out their work in as safe an environment as possible. Only travel with reputable local guides and to fully protected workplaces. Take the greatest possible care and vary your routines. Don’t publicise your travel, including on social media. If possible, maintain radio or telephone communications to report your movements. Avoid any protests, demonstrations or large gatherings. There are large amounts of unexploded bombs and land mines (both anti-tank and anti-personnel) throughout the country. Terrorists are very likely to try to carry out attacks in Afghanistan. Multiple threats are issued daily. Terrorists and insurgents conduct frequent and widespread lethal attacks against Afghan National Defence and Security Forces (ANDSF), domestic and international political and civilian targets including in the Green Zone, and those working in the humanitarian and reconstruction fields. There is a threat from high-profile, large-scale attacks in Kabul. The insurgency has a strong anti-Western focus; this could make any UK interest or person a target. Attacks include bombs (roadside and other), suicide bombs (either on foot or by vehicle), indirect fire (rockets and mortars), direct fire (shootings and rocket propelled grenades), kidnappings and violent crime. Daesh is also fiercely hostile to the UK and other western countries. If you decide to travel to Afghanistan, you should read this section in conjunction with the Safety and Security section. You should be particularly vigilant on public or religious holidays, in and around landmark locations and places where large public crowds can gather. Hotels used by the government of Afghanistan and western nationals, ministries, military establishments, airports (including Kabul International) and religious sites have been attacked and further attacks are possible. Avoid regular visits to public places frequented by foreigners, including hotels, restaurants, shops and market places, especially at times of day when they are particularly busy and congested. Hotels used by the government of Afghanistan and western nationals, ministries, military establishments and religious sites have also been attacked and further attacks are possible. The British Embassy does not allow official visitors to stay in any hotel overnight, and has placed restaurants off limits to staff. Make sure your accommodation is secure, and review your security measures regularly. Over 100 westerners have been kidnapped in Afghanistan since 2001, a number of them have been British nationals. The motivation and desire to undertake kidnapping in Afghanistan is likely to continue. You should take the utmost care, vary routines and avoid setting regular patterns of movement. You should take professional security advice while in the country. There’s considered to be a heightened threat of terrorist attack globally against UK interests and British nationals, from groups or individuals motivated by the conflict in Iraq and Syria. You should be vigilant at this time. If you’re travelling in Kabul, take particular care on Airport road, Jalalabad road and Darulaman road. Avoid travelling on Jalalabad and Darulaman roads during commuter or other busy times (around 6am to 8am, 9am to 11am and 3pm to 4pm local time), when traffic can be heaviest and the risk of an attack against government and western people or interests is most likely. Avoid travelling along Airport road except for essential movements as attacks are likely throughout the day. There have been a number of attacks against aid workers and military vehicles resulting in deaths and injuries, and there are ongoing military operations throughout the north. The FCO advice against all travel to Badakhshan includes travel to or climbing and trekking within the Wakhan Corridor. On 8 February 2017, six Afghan staff of the International Committee of the Red Cross (ICRC) were shot and killed in Jowzjan Province, Afghanistan. Two further staff members travelling in the same convoy are so far unaccounted for. On 10 November 2016 there was an attack on the German Consulate in Mazar-e-Sharif in Balkh province. At least 4 civilians were killed and 120 injured. The Taliban were reported to have claimed responsibility for the attack. The eastern region has been extremely volatile for some time, with almost daily suicide and roadside bomb attacks, shootings and rocket attacks. The region close to the Pakistani border is extremely dangerous with a high number of insurgents operating freely. On 17 October 2017, four Vehicle Borne explosive devices and twelve insurgents struck the Paktia Police Headquarters, killing 100 ANDSF personnel and injuring over 400. On 24 January 2018, insurgents attacked the offices of Save the Children in Jalalabad. Up to 13 people were injured in this incident. On 18 October 2017, 58 soldiers were killed and 28 wounded at an Afghan National Army (ANA) base in Maiwand district, Kandahar. On 10 January 2017, an explosion took place in the Provincial Governor’s compound in Kandahar. The attack left eleven people dead, including the Deputy Provincial Governor, five Emirati diplomats, an Afghan MP and an Afghan official. An attacker also detonated a suicide vest in a guest house in Lashkar Gah used by the provincial National Security Directorate (NDS). Eight people were reportedly killed, including four members of the NDS. • the FCO advise against all travel to Badghis province, Farah province, the Shindand district of Herat province,the Du Layna/Dolina and Pasaband districts of Ghor province and the Gizab/Gesab and Kajran districts of Daikundi province. • the FCO advise against all but essential travel to Dai Kundi, Ghor and the remaining districts of Herat and Daikundi provinces. On 4 August 2016 there was an attack on a convoy of vehicles carrying tourists (including 8 British nationals) in Herat. The group were on a tour organised by a company based in the UK. The Taliban claimed the attack on the vehicle, which involved small arms fire and an explosive device. The convoy was being escorted by the Afghan military. Five tourists and the driver were injured in the attack. It’s illegal to buy or export historical antiquities without a receipt from an authorised supplier or dealer. When you leave Afghanistan you may be asked for proof of purchase. If you don’t have a receipt, you could be detained and you may face a fine or prison sentence. If you are travelling alone with a child you may need to produce documentary evidence of parental responsibility. The FCO does not allow staff based in Afghanistan to travel with their partners or children. For further information on exactly what is required at immigration contact the Embassy of the Islamic Republic of Afghanistan in London.